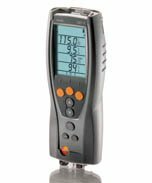 testo 327-1 O2 is your introductory instrument to flue gas analysis. 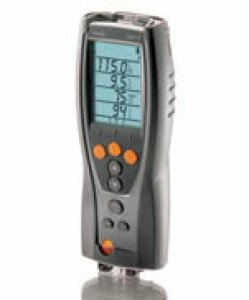 It measures combustion resistance, °C, O2, CO2 and flue draught. The strong LED background light in the 4 line display guarantees an easy-to-read display even if lighting conditions are unfavourable. The analyser stands out on account of its easy menu navigation and ergonomic housing as well as its durability.